More than a year after President Donald Trump took office, many young conservatives have said they feel too intimidated to share their beliefs. “I’ve found over the last couple of years how intolerant and dangerous college campuses have become for conservatives,” said Charlie Kirk, the founder and executive director of Turning Point USA, an advocacy group for young conservatives. Kirk cites a “culture war” he sees raging between liberals and conservatives in which free speech is at stake. Just last month, a group of young conservatives secured their First Amendment rights after standing up to the administration at their high school. What better way to celebrate freedom than by walking in the footsteps of Ronald Reagan, the 20th Century’s greatest president, and learning about the ideas he championed? 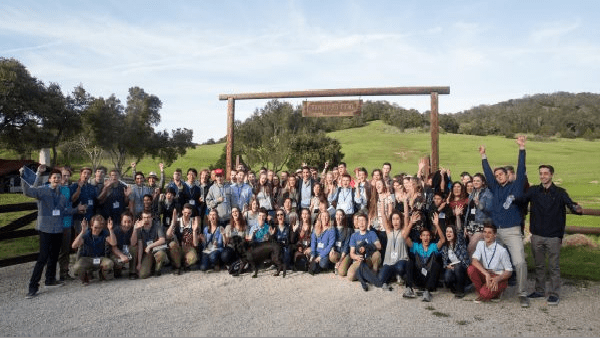 At a Young America’s Foundation High School Conference at the Reagan Ranch, high school students who caught the conservative bug can converge to get inspired, get organized, and get active. Students who attend will expand their knowledge of economics, American history, personal responsibility, and President Reagan’s lasting accomplishments through a series of innovative lectures, discussions, and briefings. YAF leaders give the high school students gathered at the late president’s properties modern-day pointers on what it means to be a Republican, and tips for fending off what the group views as the other side’s indoctrination. Meet like-minded peers from across the country. Learn from top professors and leaders in the Conservative Movement. Participate in discussion sessions with fellow students. Discover ways you can champion conservative principles at school and beyond. Walk in President Reagan’s footsteps as you tour his beloved ranch – Rancho del Cielo. Young America’s Foundation, born in the politically turbulent 1960s, has been a force in the conservative movement for decades. The foundation became a beacon of right-wing youth empowerment during the rise of President Donald Trump. The YAF promotes itself as a political counterweight to the liberal thought that its supporters say courses through American colleges, and spends millions every year to fund YAF clubs and seed conservative activism on campus. President Reagan himself became a major supporter of the foundation while still in the White House. When Young America’s Foundation took over the ranch in the late 1990s, the former first lady expressed delight over how it would be used. “We hope that our ranch will be a spark for many bright young Americans in the years ahead,” Nancy Reagan said. YAF alumni can be found in leadership positions at organizations including the Clare Boothe Luce Policy Institute, the Intercollegiate Studies Institute, The Heritage Foundation, the Foundation for Economic Education (FEE), the Washington Times, and many others. For dates and information, and to register a student for this invaluable, historical experience, please contact Young America’s Foundation’s conference director at 800-USA-1776 or visit YAF.org.